from LeisureArts.com. It was a great start for Warren’s garden. 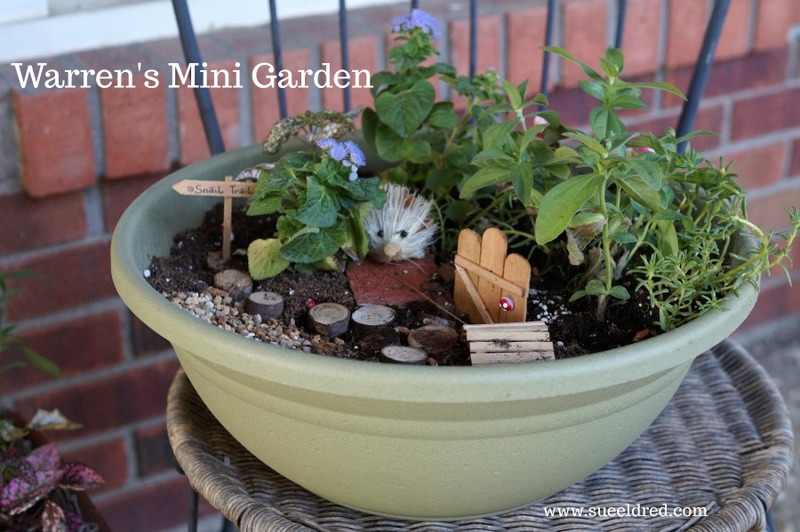 The kit retails for $12.99 and comes with so many cute accessories to add to your mini garden. A great value, cheaper than buying everything separately. 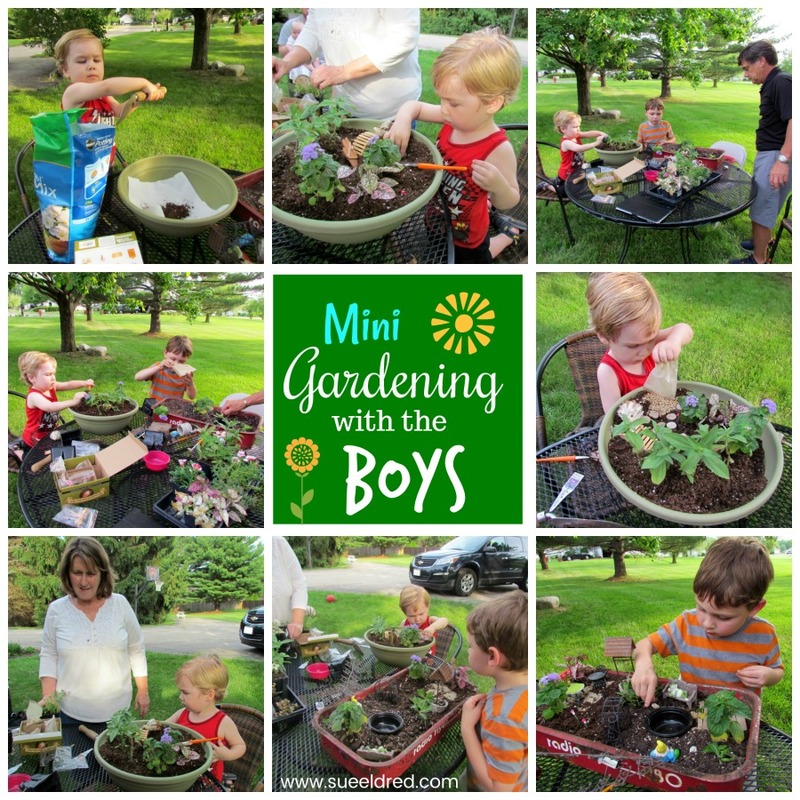 I had all the supplies and plants ready to go and the boys quickly got started on their gardens. 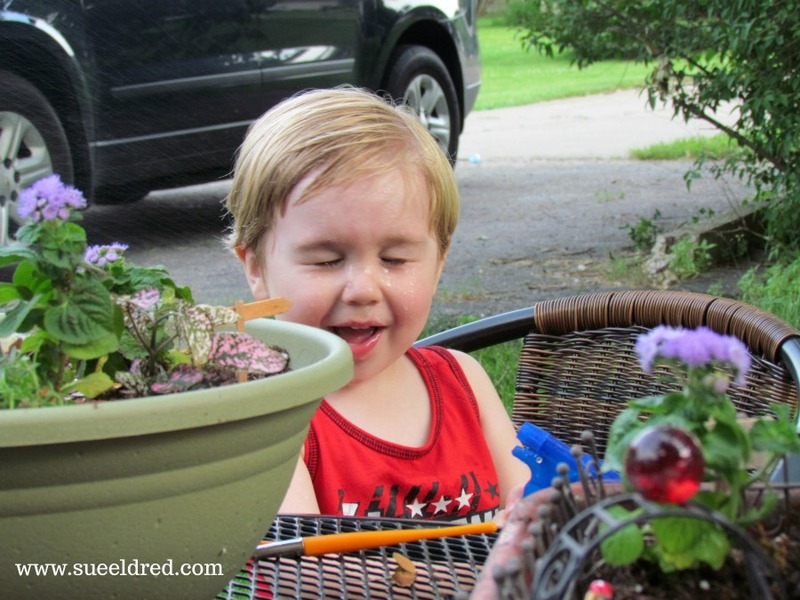 They loved digging in the dirt, putting in the flowers and decorating their gardens. We were having so much fun, even Grandpa joined in on the fun. 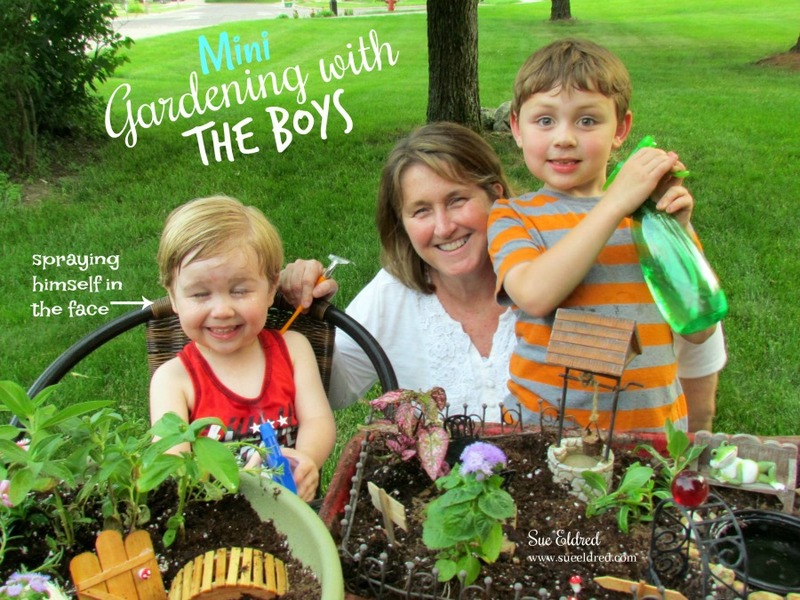 Mini gardens make such a fun family project. I do believe Warren’s favorite part was the water bottle. He loved spraying everything, including himself. 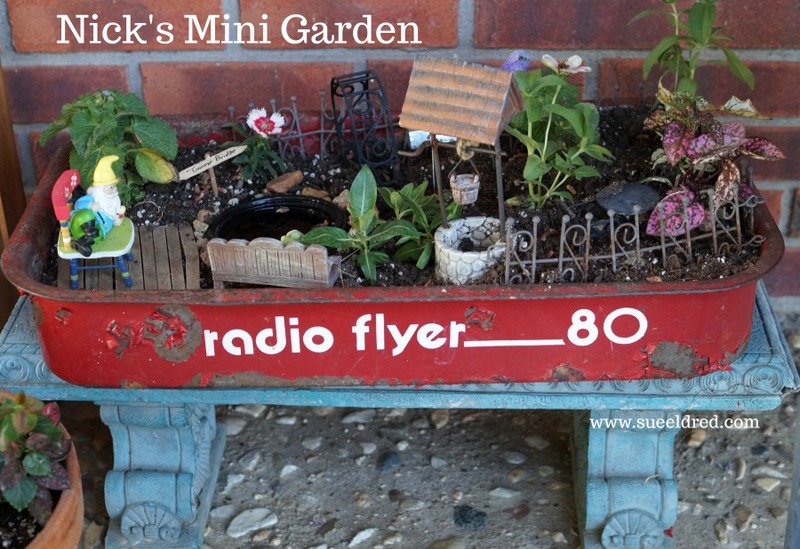 You can read about and see Nick’s first garden here. ran around the yard spraying each other (and occasionally me) with the water bottles. 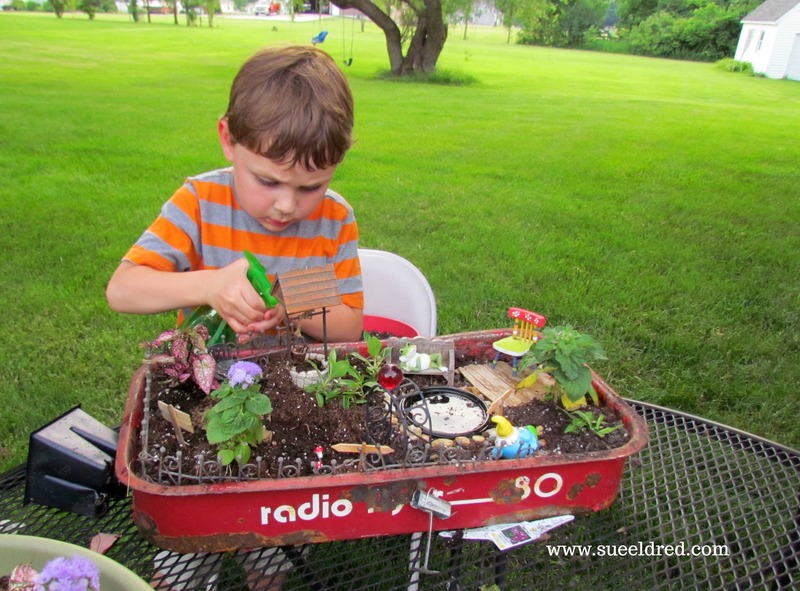 FYI… LeisureArts.com also has a Fairy Garden Kit in addition to the Woodland Garden Kit.